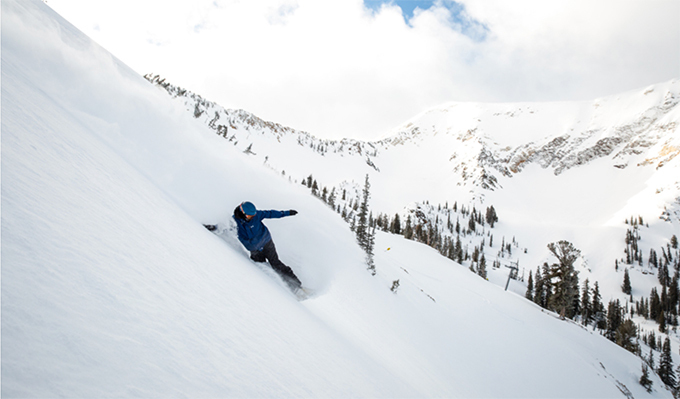 SNOWBIRD, UTAH - Ski Utah reports a total snowfall at 345" and a base of 87" for this year. The Winter of 2016-17 saw 633" of snowfall throughout the season and a base depth of 149". Right now Brighton is sitting at 513" total snowfall and a 137" base; Snowbird (pictured here) is second with 505" of total snowfall. More importantly, snow is still falling in the Wasatch. Will this year be a record-breaker? Stay tuned. Photo: Chris Segal, Athlete: Justin Latimer.